In July, 2006, Alex went with the Berean youth group to New Mexico. 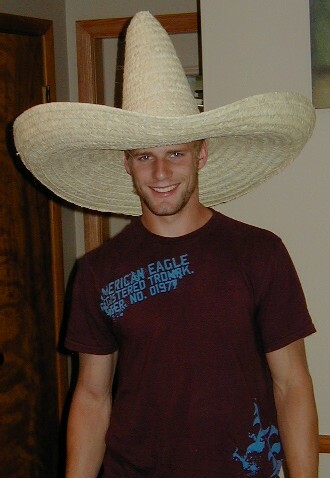 I don't know what else he got, but he did get a big hat for his big head. Actually, we're very proud of him and the work he does for the Lord Jesus.